Supreme Court To Consider FCC Indecency Case In 2009, the court used administrative law to uphold the FCC's decision to fine Fox for broadcasting a live event in which the singer Cher used the F-word while accepting an award. The justices ducked the censorship issue, specifically reserving it for another day. That day has now come. Singer Cher accepts a lifetime achievement award at the MGM Grand Hotel and Casino in Las Vegas during the Billboard Music Awards show in 2002. Her use of an obscenity in her acceptance speech led the FCC to fine broadcaster Fox. Dirty words return to the usually staid Supreme Court Tuesday. For a second time in three years, the justices are hearing arguments about a Federal Communications Commission regulation adopted during the Bush administration that allows the agency to punish broadcasters with stiff fines for the fleeting use of vulgar language. In 1978, the Supreme Court ruled that broadcasters could be punished for airing sexual and excretory expletives during prime time when children are more likely to be watching. But that was then and this is now. Then, a handful of TV networks were the sole purveyors of TV fare, and now there are hundreds of TV channels. Today's case involves yet another change. Even after the Supreme Court's 1978 ruling, the FCC regulated with a relatively light hand, punishing only repeated use of vulgar language. Then in 2003, singer Bono used the F-word at the Golden Globe Awards ceremony in expressing how delighted he was to win. That was apparently the straw that broke the Bush administration's back, and the FCC adopted a new, more punitive approach. It started fining broadcasters for even fleeting and isolated use of vulgar language. The test case was the Billboard Awards broadcast a year earlier by Fox. 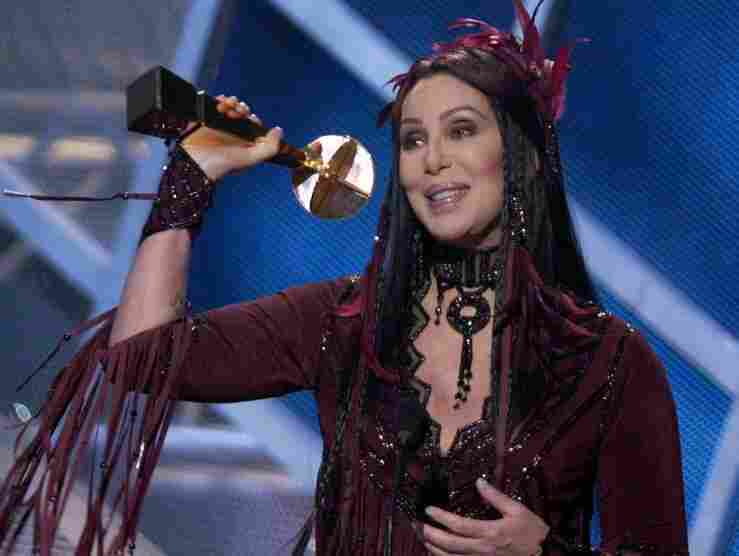 Singer Cher accepted her prize by saying, "I've also had critics for the last 40 years saying that I was on my way out every year. So f- - - 'em." The FCC cited Fox for indecency, and the network went to court, claiming unconstitutional punishment of speech and a violation of the laws governing how agency rules are made. When the Supreme Court ruled on the case in 2009, the court voted 5 to 4 to uphold the penalty, basing its decision on administrative law. But the justices ducked the censorship issue, specifically reserving it for another day. That day has now come. The case is back before the court after a federal appeals court in New York said the lines drawn by the FCC cannot be justified in today's multichannel world, and that the rule amounts to discrimination based on the content of the speech. The Obama administration appealed that ruling, leading to Tuesday's arguments, which very likely will mirror parts of the arguments two years ago. Last time, for instance, Justice Ruth Bader Ginsburg noted that the FCC had not fined the networks for airing Saving Private Ryan, even though the movie is filled with expletives, but a PBS documentary about jazz was punished because some of the musicians interviewed used expletives. "One of the problems," said Ginsburg, "is that, seeing [the rule] in operation, there seems to be no rhyme or reason for some of the decisions that the commission has made." Chief Justice John Roberts observed that under the commission's rule, it could punish the network for airing Cher's comment during the live broadcast, but it would not punish the network for reporting her comment on the morning news. He also questioned the efficacy of the FCC rule in a multimedia era. But the Bush administration's solicitor general, Greg Garre, replied that under the court's precedents, broadcasting is unlike other media outlets and subject to a different standard. Justice John Paul Stevens, who wrote the 1975 precedent, interjected at that point. "Wasn't the rationale for the lesser standard largely the scarcity of the frequencies?" he asked. Then-Solicitor General Garre responded, "Broadcast TV is, as Congress designed that to be, the one place where Americans can turn on the TV at 8 o'clock and watch their dinner and not be expected to be bombarded with indecent language." It would be a remarkable thing, he said, to adopt the world that the networks are asking for, "where the networks are free to use expletives ... 24 hours a day, going from the extreme example of Big Bird dropping the F-bomb on Sesame Street, to the example of using that word during Jeopardy! or opening the episode of American Idol." Carter Phillips, the lawyer who represented the broadcasters, got significant blowback from some of the court's conservatives. Chief Justice Roberts strongly suggested that context matters, especially when the viewers are children. "It's one thing to use the word in, say, Saving Private Ryan, when your arm gets blown off," said the chief justice. "It's another thing to do it when you are standing up at an awards ceremony." Phillips responded with incredulity. "You can't seriously believe that the average 9-year-old, first of all, [won't be] more horrified by the arm being blown off." The chief justice replied that in the Cher case, the swearword is completely gratuitous, and in the Saving Private Ryan case, it is not. A decision in the Fox indecency case is expected by summer. The audio of this story, as did a previous Web version, incorrectly says that the Supreme Court ruling regarding prime-time language was in 1975. It was actually in 1978.